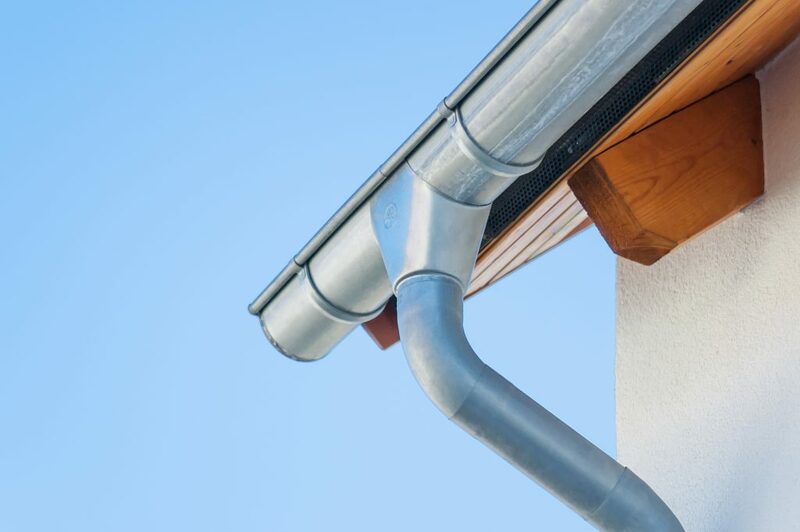 The rain gutters on your home play a crucial role in protecting you and your home from the elements, but what do you really know about them? What they are made of and how they are constructed and installed can determine if they are quality gutters that will last you a long time or not. Another popular type of roof gutters is one made of aluminum. These like the vinyl ones are lightweight and rust-proof and if you are a DIYer, it won’t give you any particular headaches during the installation process. Other pluses with this type of gutters is that it, unlike vinyl, can withstand cold climates and can be painted whatever color will look best with the outside of your house. They also come in seamless models. If you live in the western part of the United States, you will also have the option of Fascia gutters which are fixed to a fascia board. It can also be fixed to the end of rafters. For houses built in the 1960s, the gutters might be an integral gutter system which can hold more water, but on the downside is more prone to leaks. If you are installing the new gutters yourself, be sure to double check that you are buying the right size. Because your gutters need to be able to be large enough to drain away all the rain from your home, finding the right size is crucial. If you go too small, the gutters will only get overloaded in heavy downfalls leading to a lot of water damage to your home. Also make sure to not hang the gutters too far apart. The gutter hangers are the way you mount the gutter system to your home so they need to be spaced properly. If you leave too much space between the hangers, the rain gutters will actually sage causing the water to pool instead of flowing through. Besides the gutter system itself, you should also consider purchasing and installing gutter guard, leaf catchers or other products that help you maintain your gutter system with as little hassle as possible. For example, TheSpoutOff are rain gutter outlets that can be easily added to a new gutter system and they are designed with larger openings which prevent leaves and debris from getting clogged up in the gutters. They also make it easier to check on your gutters because it comes with a removable downspout that allows you to inspect the system from the ground instead of having to climb a ladder. Want to learn more about how TheSpoutOff can help protect your roof from water damage? Contact TheSpoutOff today to learn how it can take the hassle out of cleaning your roof gutters, no matter what gutter materials were used.